in medicine and industry around the world. A directory of phage experts and phage banks to support the safe and effective use of phages in medicine and industry around the world. Where is the world at with compassionate phage therapy? This week, Dr. Shawna McCallin highlights a new review (co-authored with us at Phage Directory and with Dr. Ben Chan at Yale) of phage case reports published to date. Got a tip or a question for us? What are you interested to hear more about? 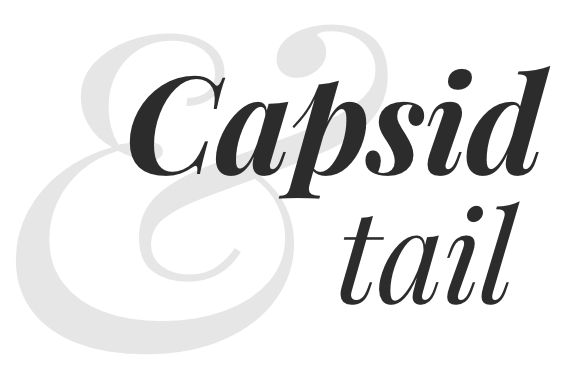 Are you interested in writing for Capsid & Tail? Let us know below! Thank you for following our live coverage of Phage Futures 2019, which took place Jan. 29-30, 2019. Find the event highlights here. For our reflections on the conference, see our recent Capsid & Tail issue, and stay tuned for a more in-depth report on what we learned. If this was helpful, or if you’d like live coverage of your event, email us at [email protected].